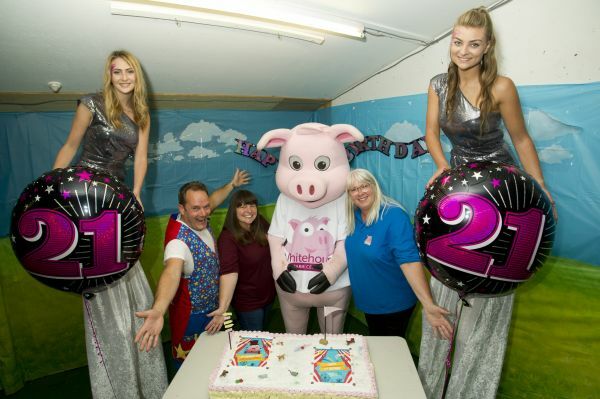 ﻿ Whitehouse Farm celebrates 21 years of "farmtastic" fun! Home > News > Whitehouse Farm celebrates 21 years of "farmtastic" fun! Whitehouse Farm celebrates 21 years of "farmtastic" fun! Enjoy some of our Big Birthday Cake! -Plus all the animal related fun you all love - Meet the Meerkats, Have a Hoot with the Owls, Animal ---Handling Session, Cool Critters Show and much much more.